When Rick and Kathy LeChette bought the old Oxford Strike ‘N Spare Lanes, they wanted to bring the longtime bowling alley back to life with a few added features for today’s generation. The couple started making this old-timey alley their own by not only changing the name to Timber Lanes and bringing in a new management team and staff, but they made a series of cosmetic and mechanical upgrades to the Oxford, Pa., venue. Rick, originally from King of Prussia, Pa., has been bowling for more than 40 years. 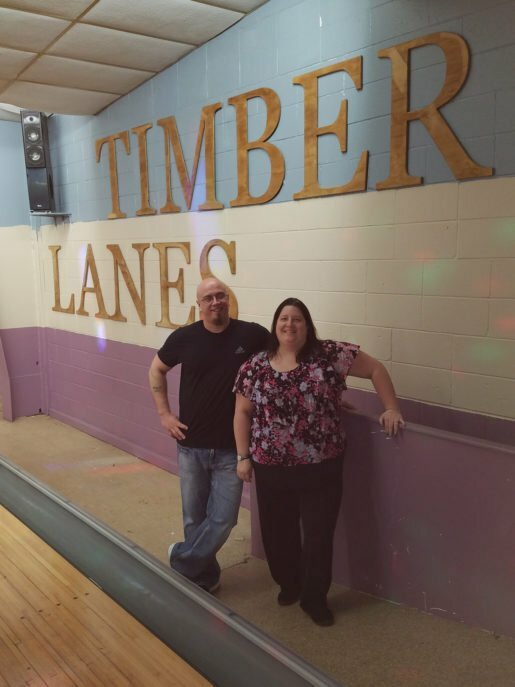 As such, he had a pretty distinct vision of what he wanted to achieve at Timber Lanes, which is located less than 30 miles from downtown Wilmington, Del., nearby the couple’s home in New London. He and Kathy wanted to recreate the bowling experience of their youth with a few decidedly modern touches. Bill McBride, facilities manager, and Debby Dowdy, general manager, of Timber Lanes in Oxford, Pa. The center has a retro feel. The remodel began humbly enough by tearing out old carpets and laying down all new flooring that would tolerate the wear and tear of the traffic they anticipated. The new owners also installed automatic scoring and new seating to bring the bowling alley into the comfortable and convenient digital world. To make sure the look of the venue was preserved, they actually recycled some of the former furnishings from a now defunct bowling venue where Rick had previously worked. It was a win for everyone – they got to select some choice pieces that would match up with their own vision for the space while recycling items from a closed venue that might otherwise end up in a landfill. What initially attracted the LeChettes to this former bowling venue was all of the original details that were still in great shape, like real wooden lanes that, if you ask any veteran bowlers, are hard to come by. 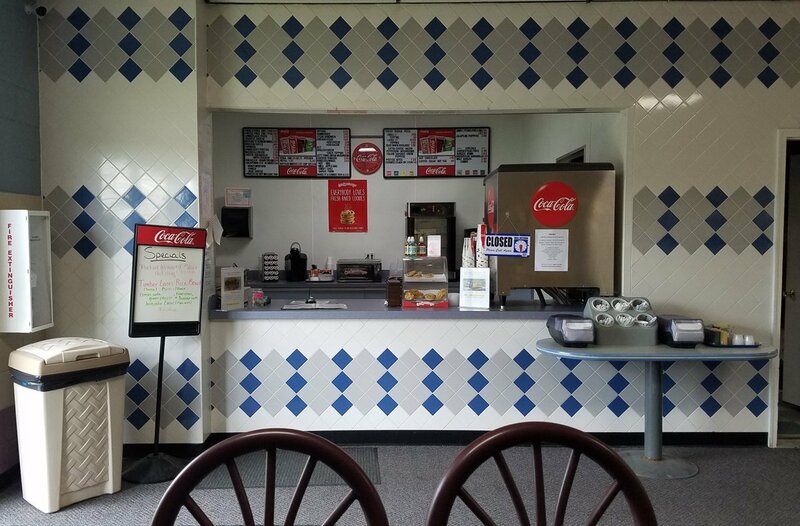 It had also been Rick’s dream to own and operate his very own bowling alley in the style that he knew growing up, which has paid off now that leagues have found a very happy home here. The Timber Lanes Facebook page states unapologetically that the owners are living their dream. It’s pretty obvious that they love what they do, too, especially if you consider the way they interact with guests both at the venue and on social media, showcasing fun new events that are designed to attract returning and new customers each week. It seems a lot less like a job and more of a passion project. 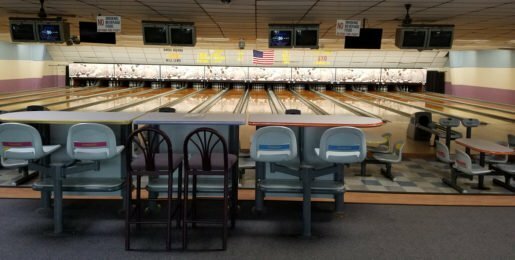 Today, the three-year-old Timber Lanes features 16 wooden lanes, a grill, snack bar and PBA-affiliated pro shop. Having worked in the bowling industry for years, Rick knew he wanted to use his retail skills at the venue in some palpable way. He had previously owned his own pro shop in nearby Newark, Del., inside the now-defunct Blue Hen Lanes, and he’s a member of the PBA who actually bowls in the PBA50 Tour. This guy knows the bowling world inside and out. Oxford, Pa.’s Timber Lanes has 16 wooden lanes. Even so, one of the biggest decisions the couple made was to bring in Debby Dowdy, who helped lead the new management team when they took over on May 6, 2014. As the former operations manager of Blue Hen, she also more than knew her way around the lanes. As a kid, in fact, Dowdy used to bowl at the old Oxford Grove Lanes. It seemed like fate that she would end up behind the scenes at Timber Lanes. As general manager she helps craft and oversee the day-to-day operations. She said she’s half of the two-person management team with Rick. Because both Rick and Dowdy have been on both sides of the lane as players and managers, they seem to have a great sense of what guests expect and what they can ultimately deliver to set the venue apart from others in the region. The retro feel of the venue seems to appeal to older and younger bowlers alike. The older players remember the way alleys looked decades ago – and as such the new management wanted to maintain a lot of these classic details. Younger players, meanwhile, are enjoying the timeless experience for the first time. Hipper, younger players love the vintage details, like the real wood lanes and snack bar. It’s become a real family-owned and operated destination. Being independent means that the center can really make changes according to what guests really want. It’s become a popular spot for fundraisers and group events, as well as aalways-lucrative birthday parties. The leagues that play at Timber Lanes encompass everyone from kids to seniors at all skill levels. Some of the more popular events are Timber After Dark every Friday night and Bargain Days on Wednesdays, which is a fun way to introduce newbies to the venue. The Timber Lanes snack bar. The center also offers a pro shop. It even has a claim to fame that attracts movie buffs and pop culture lovers alike. The venue was featured the 1992 film “That Night” with C. Thomas Howell and Juliette Lewis, which was set in the 1950s/1960s. Even today after the remodeling and upgrades, guests still enjoy a taste of the past while being able to take advantage of modern conveniences, like digital scorekeeping. The venue also welcomes people to BYOB at the Laneside Grill, which served up lots of affordable comfort food, including a variety of French fries topped with everything from cheese to bacon. The Yelp and Google reviews have been enthusiastically positive since the new owners made these changes. Excellent service and a friendly staff is a common thread that runs through most of the online feedback, which pleases the LeChettes immensely. In fact, a few other changes are also coming this year, according to Dowdy.